These crocodile wallets are up there with the best mens wallet on the market. Crafted from genuine croc and sharkskin with a black sharkskin skin interior. 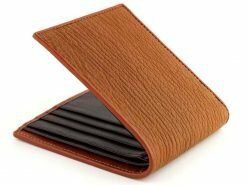 A wallet is more than just a convenient place to keep cards and cash, it’s one of the few male accessories that guys can indulge themselves with. 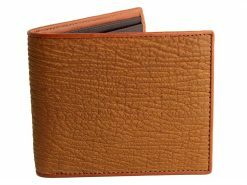 If you had crocodile shoes you probably wouldn’t wear them everyday but that’s not the case when it comes to a wallet. Go wild and have a bit of fun with one of our croc wallets. You wont regret picking up this remarkable wallet, be the owner of the best mens wallet in your neighborhood.